Ballroom Music Radio Station in USA – Come Dance with Us! The Swing Street Ballroom presents live music (transcribed) from famous ballroom and night spots from across the nation. In radio’s early days, most of the music enjoyed by listeners came from live performances (“via remote”). 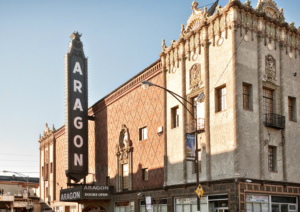 Places like the Aragon Ballroom in Chicago, The Palomar in Los Angeles and The Palladium in New York City were just a few of the locations where radio brought its microphones in order to bring fine listening and dancing music to the nation. Our weekly broadcasts of the Swing Street Ballroom are a tribute to New York radio’s first disc jockey, Martin Block of WNEW. In the mid-1930’s, Block built a following when he hit upon the idea of playing records between news reports related to the Lindbergh baby kidnapping to fill time. This eventually led to Block’s show, Make Believe Ballroom which launched in February of 1935. 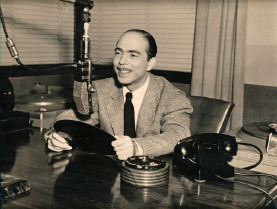 Block appropriated the show title and idea of playing records from Al Jarvis of KFWB Los Angeles, with whom Block once worked. 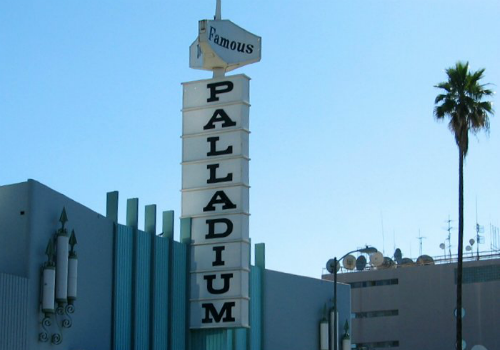 The concept created the illusion that the “broadcast” was from a ballroom with the nation’s top dance bands performing live. Block bought records from a local music shop since WNEW did not have a record library, purchasing five Clyde McCoy records for Make Believe Ballroom’s initial “musical remote”. In doing so, Block became the first “Disk Jockey” in the city of New York. Swing Street’s version of Make Believe Ballroom draws from a library of over 1000 recordings of actual live radio performances of “the nation’s leading dance bands from the nation’s leading dance spots” (as the announcers used to say!) from the Golden Age of Radio. So move the furniture aside, roll up the carpet and Let’s Dance!